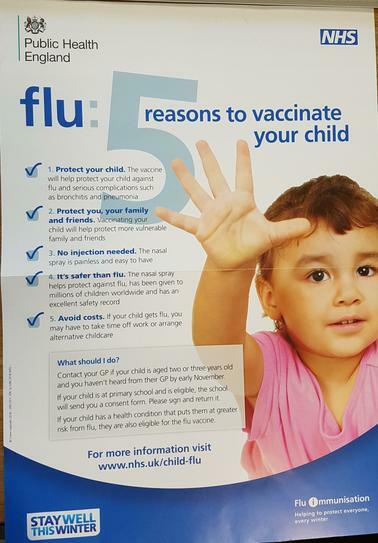 For those who have signed and returned the consent forms for the Nasal Flu Vaccination, your child will receive it in school on Wednesday 19th December. 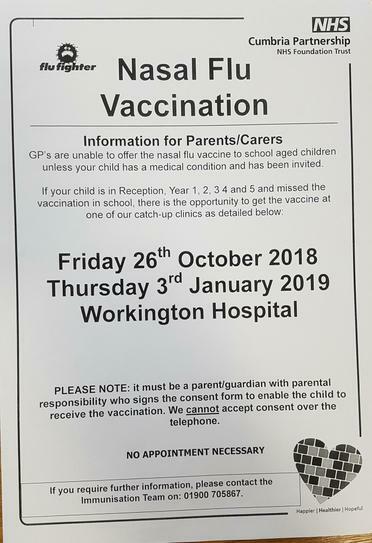 Should your child be absent and miss the vaccination there is a Catch-up Clinic on Thursday 3rd January at Workington Community Hospital. (No Appointment Necessary).